From Topkapi Palace you walk to Hagia Sophia via a cobblestone road filled with old Ottoman houses. This 6th century church, a masterpiece of Byzantine architecture, welcomes you with its legends and mosaics. You will have a chance to touch the history of this church, a main attraction of the city since its construction. Your guide will pick you up at your hotel at 0900. The first stop of the day will be the Rustempasa Mosque noted for its interior covered with some of the most exquisite Iznik faience tiles ever produced. 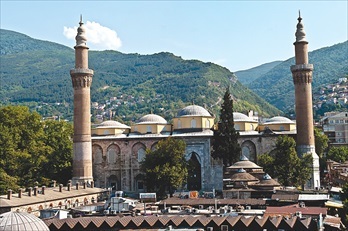 You will next travel to the Spice Market known for its dried fruits, cheeses, sausages, jams, nuts, seeds, and the well-known family of confections, Turkish Delight. 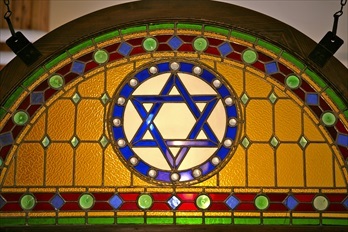 While known for its vast selection of edibles, jewelry and other goods can be found as well. 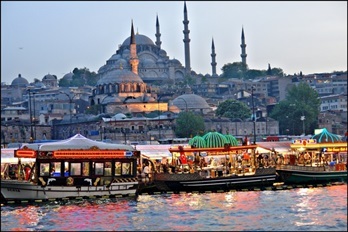 After leaving the Spice Market you will board a boat to travel across the Bosphorus, one of the world's best-known natural straits. Traveling from the European side to the Asian side of the strait, you will visit Camlica Hill to take in the panoramic view of Istanbul and the Bosphorus. 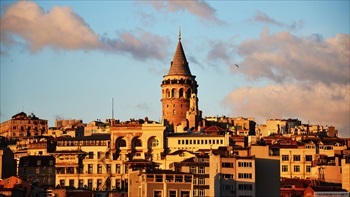 You will then have lunch at a local restaurant where you can sample classic Turkish cuisine. Following lunch you will travel over the Bosphorus Bridge, with its famous "Welcome to Europe" sign, along with the unique opportunity to step from one continent to another. 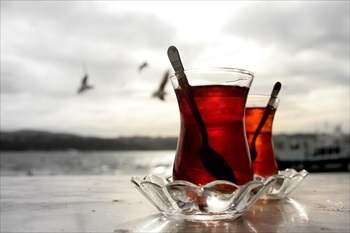 The remainder of the afternoon will be spent visiting picturesque Ortakoy where you can relax with a Turkish coffee before your guided 1.2 kilometer walk of the Istiklal pedestrian street. Istiklal, known for its local hangouts and nightlife is where your tour will conclude at 1700 with your guide returning you to your hotel. Overnight in Istanbul. 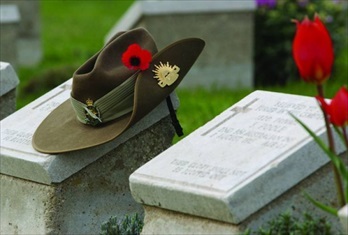 Your guide will pick you up at your hotel at 0900. Your first stop today will be the Suleymaniye Mosque. This mosque, constructed by the great Ottoman architect Sinan in 1557, is regarded as the most beautiful of all imperial mosques. In addition to the outside architecture, you will visit the tombs of the Sultan Suleyman the Magnificent and his wife Roxelana. Afterwards you will drive along the City Walls of Constantinople to the district of Edimekapi. The 5th century walls, built by Emperor Theodosius II, stretch for 6.5 kilometers from the Golden Horn to the Sea of Marmara. You can combine the view of the walls with a visit to the Chora Church (13 century AD) famous for its well-preserved wall mosaics showing scenes from the Old New Testament. Lunch will provide an opportunity to taste the local flavors of the Ottoman kitchen, which prided itself on blending recipes and ingredients from across its vast territories. 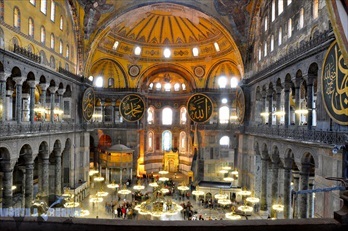 Following lunch you will continue to Eyup, one of the most important Pilgrimage places on earth for the Islamic World. Afterwards you may wish to stop for a cup of coffee or tea and enjoy the panoramic view of the Old City from the Coffee House of Pierre Loti. Your final stop of the day will be the Dolmabahce Palace, which extends for 600 meters along the European coast of the Bosphorus. This palace, constructed between 1843 and 1858 by Sultan I Abdulmecit, contains eclectic elements from the Baroque, Rococo, and Neoclassical styles, blended with traditional Ottoman architecture to create a new synthesis. Dolmabahce has the largest collection of Bohemian and Baccarat crystal chandeliers in the world, and one of the great staircases has balusters of Baccarat crystal. Your tour will end at your hotel at approximately 1700. 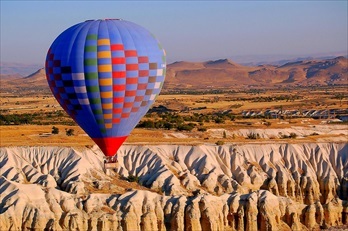 After the tour transfer to airport and fly to Cappadocia, In cappadocia transfer to your cave hotel. Overnight in Cappadocia. Your guide will meet you at 9am and start your tour with Catalkaya (tree beauty) Visiting the symbolic fairy chimneys of cappadocia. Continue with Red valley and Rose valley.The hiking in Red valley with your local tour guide (wonderful rock formations,pigeon houses,natural tunels,churches. Visiting Cavusin village to see cave and stone houses where abondened in 1952.Lunch at specific local dishes.Tour to Kaymaklı Underground City, one of the most interesting underground settlements in Cappadocia.This underground has 8 floor but 4 floor open to visitors. continue with Pegeon valley, pigeon houses and colorful rock formation. After the tour drive to your hotel. Overnight in Cappadocia. 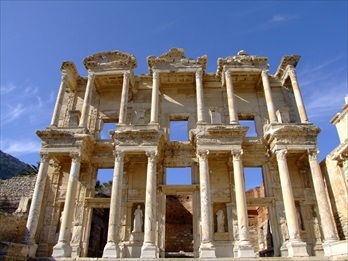 Today we travel to ancient Aphrodisias, one of the finest archaeological sites of Anatolia, still only partially excavated. The name of the city is derived from the familiar and storied Goddess of Love, Aphrodite, also called Venus by Romans. 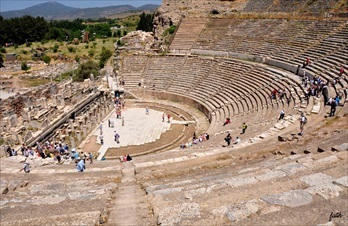 Here, under Greek and Roman rule a center for the arts once prospered. After lunch at a countryside Anatolian restaurant, we continue to Pamukkale to see the cascading snow white "cotton castle". Visit the impressive ruins of Hierapolis, where the hot thermal baths were once considered sacred. 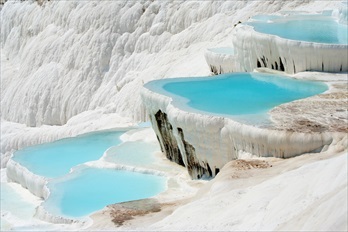 Continue to your hotel in Pamukkale for overnight. 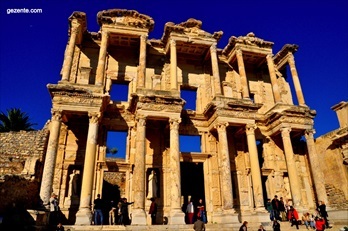 In this tour you will discover the ancient city of Pergamon, an important cultural center and the east capital of the Roman Empire.Pergamon is famous for the invention of parchment, which substituted papyrus when it became difficult to obtain.The tour departs from Izmir, where your guide will meet you and we will drive to Pergamon.You will visit the breathtaking Acropolis, which was modeled after the one in Athens. The beautiful view from the hill-top will give you a great panorama of the surroundings.Marvel at the impressive Athenaeum library once held 200,000 volumes, which Mark Antony later offered to Cleopatra as a wedding present.The Temple of Trajan is a huge marble building that has been partially reconstructed from the original pieces found on the site.Look forward to discover the famous Sanctuary of Asclepius is located down in the valley from the Acropolis. In this place there was a sacred fountain where people with health problems could bathe. Legend has it that Asclepius would then give them a vision and explain how to be cured.After a delicious lunch with Turkish specialties, you will have the opportunity to visit the Archeological Museum of Pergamon where you can see many original artifacts found on the site. 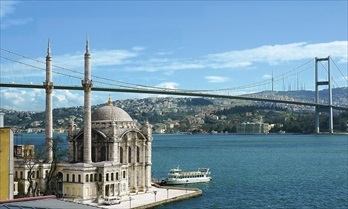 Transfer to Izmir airport and fly to Istanbul, free afternoon in istanbul. Overnight in İstanbul. Carpark, Gasoline, Highway & Bridge feesServices charges & local taxes.